Over 400 families will spend Christmas at a Ronald McDonald House while their child is in a hospital away from home. Drop a present into our office from 1 December and we’ll make sure it gets to a deserving family. A little Ray of Giving is a programme where Ray White offices partner with local community charities across New Zealand to deliver an inspiring Christmas campaign – to provide a little extra light for many in the festive season. A Little Ray of Giving is an annual programme run by Ray White offices to collect gifts for families in need across New Zealand and Australia. First run in 2012, the Little Ray of Giving programme intends to support and put smiles on the faces of some very special children this Christmas – by simply seeking donations of gifts from their local communities. The donations are then distributed by Ray Whites Offices, and partnered charities, to either families staying at Ronald McDonald Houses or local charities across New Zealand. 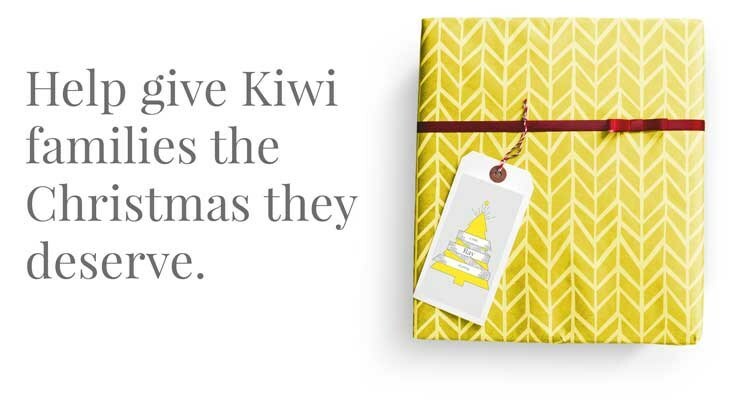 More than 3,000 gifts were collected by Ray White in New Zealand alone in the 2014 year, and countless donations of food, vouchers and other items were also donated via the programme. Christmas is a special time of year shared with family, spending quality time with one another and enjoying the festivities. However, in an instant everything can change. This is the reality for many families across New Zealand. Christmas time can often place families under immense emotional, physical and financial stress, so our ‘Little Ray of Giving” programme is hoping to ease a little of that stress. © Ray White Epsom. Based in Epsom. Black Group Realty Licensed (REAA 2008).